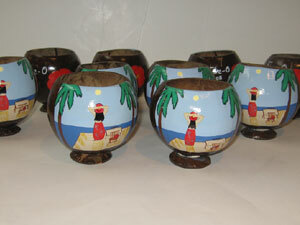 The designs in this section are priced individually. 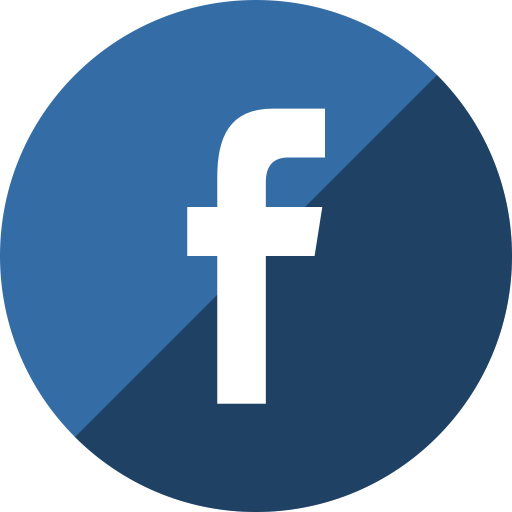 Please Request a Quote. 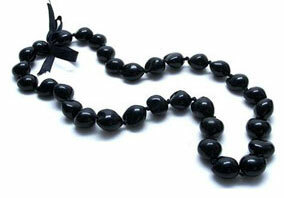 This gallery showcases our detailed designs. 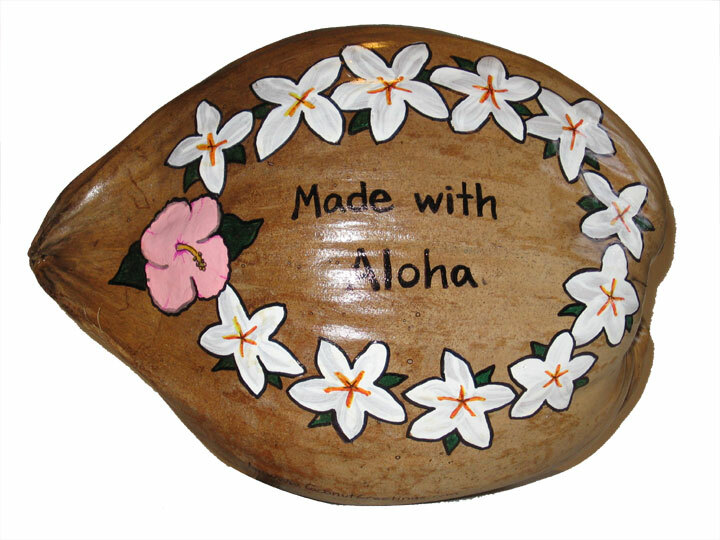 These items are priced individually. 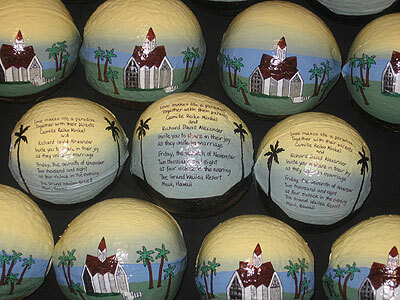 Wedding Invitations painted with the Church the couple will be married in. 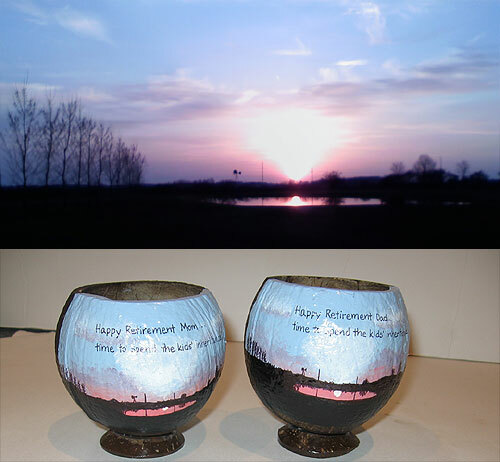 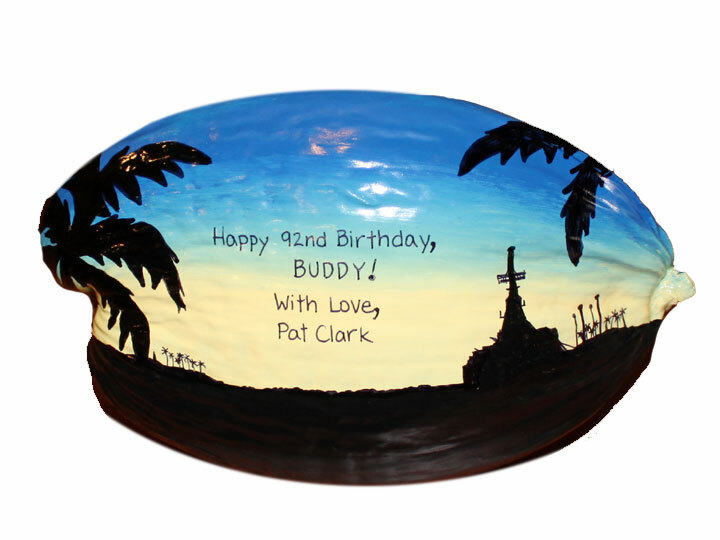 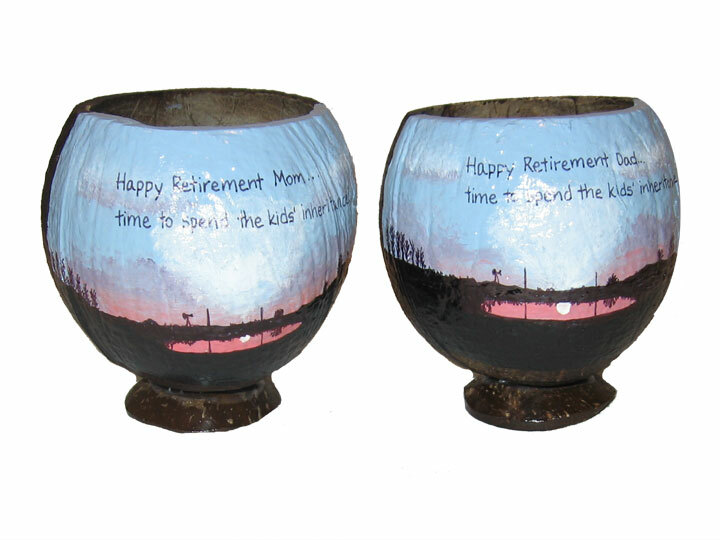 Hand Painted Retirement Coconut Cup [fineart3] The photo on top was sent to us to duplicate on a pair of coconut cups for a retirement gift for Mom and Dad. 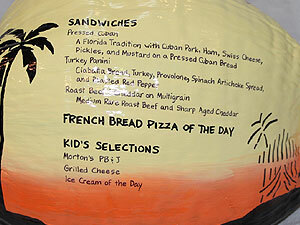 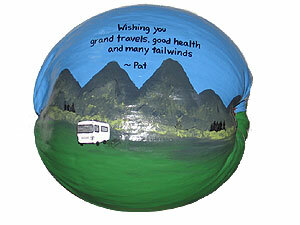 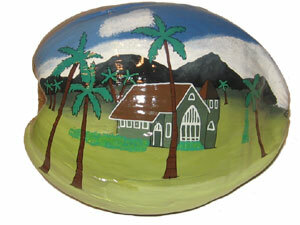 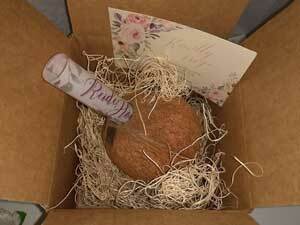 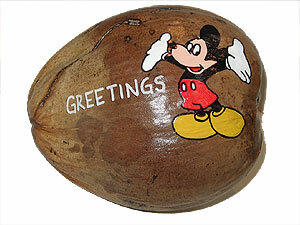 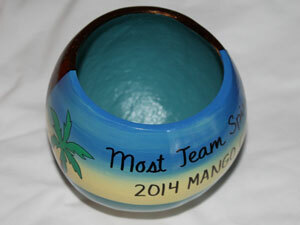 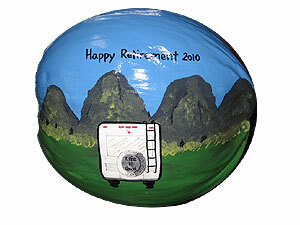 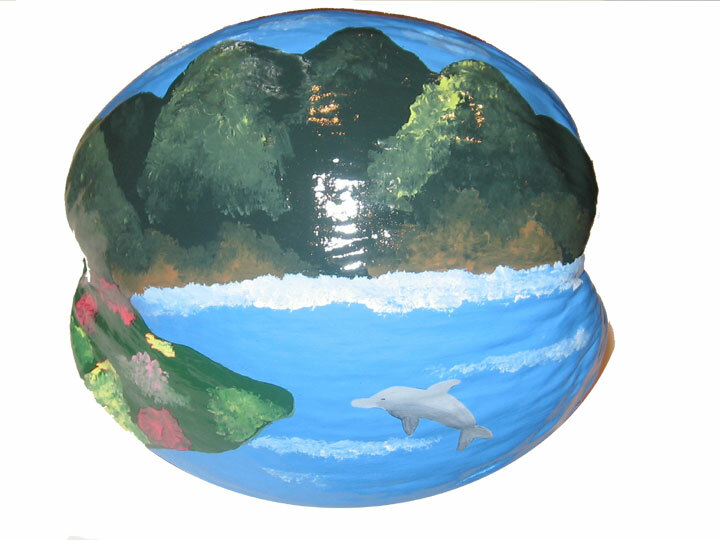 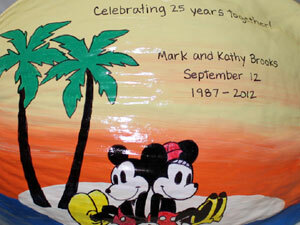 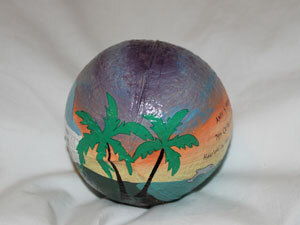 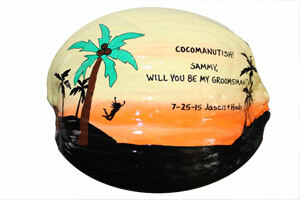 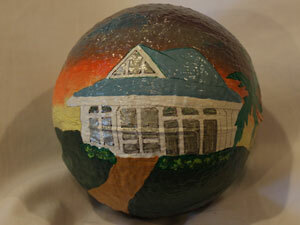 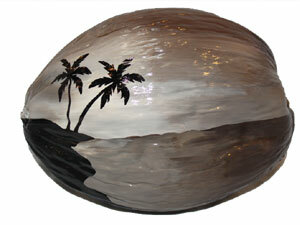 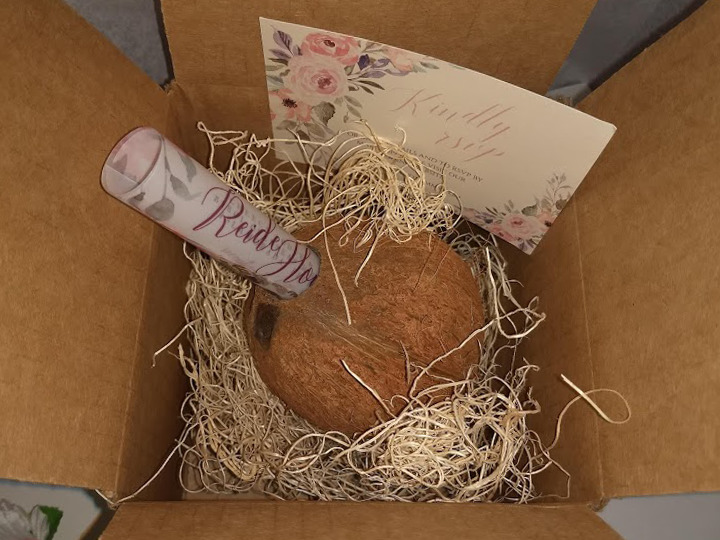 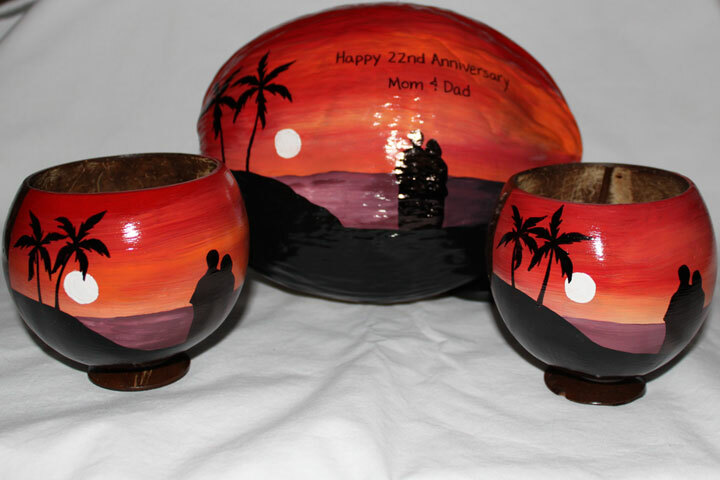 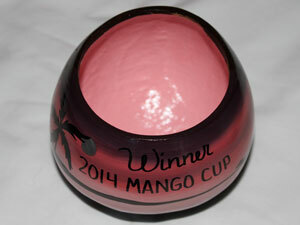 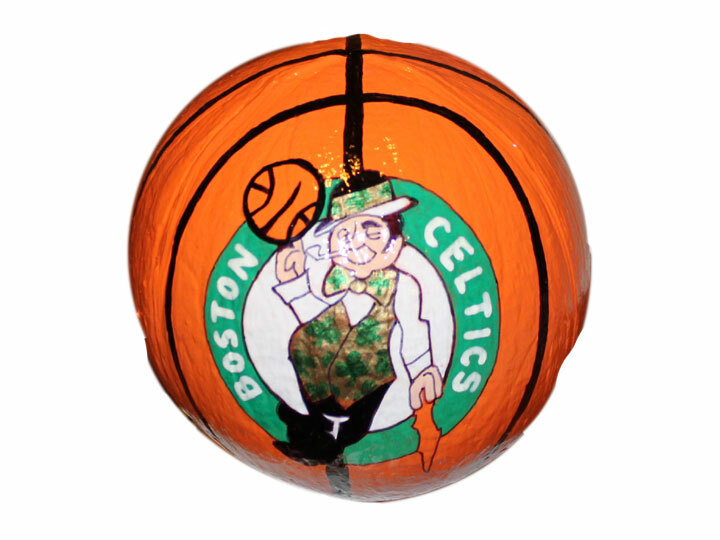 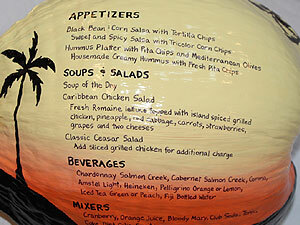 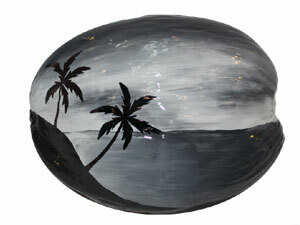 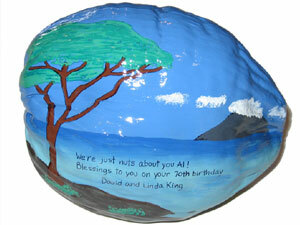 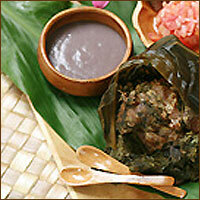 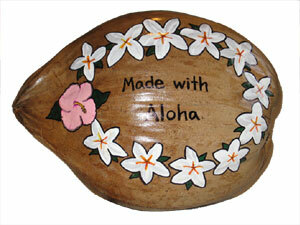 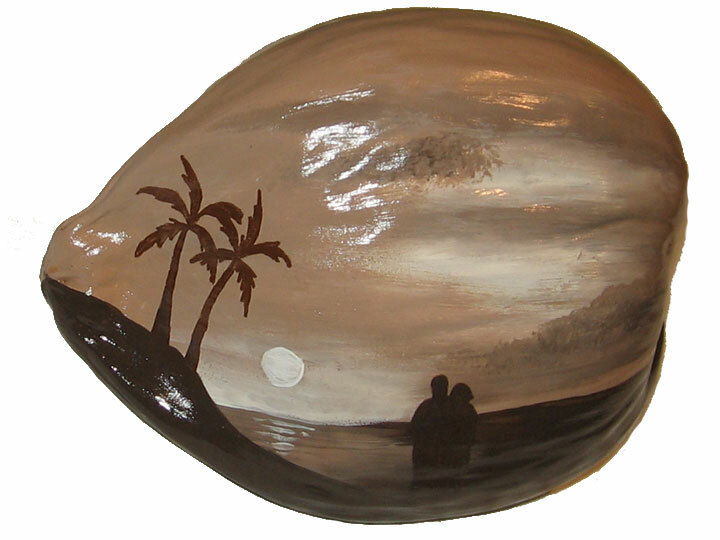 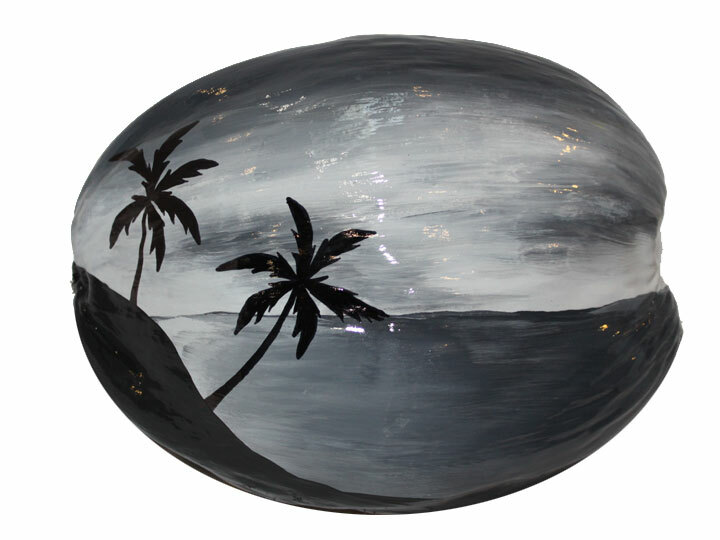 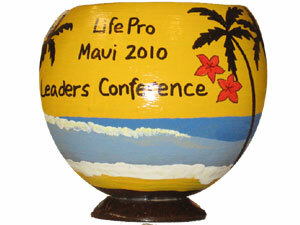 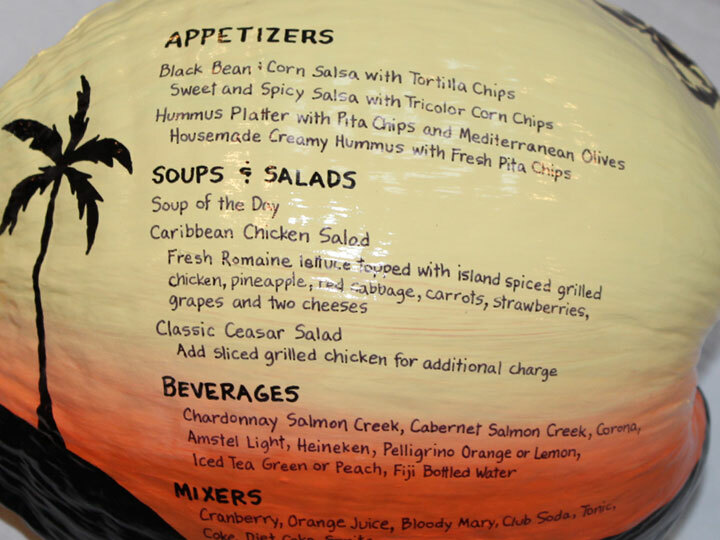 Reduced prices on hand painted coconuts with volume orders.